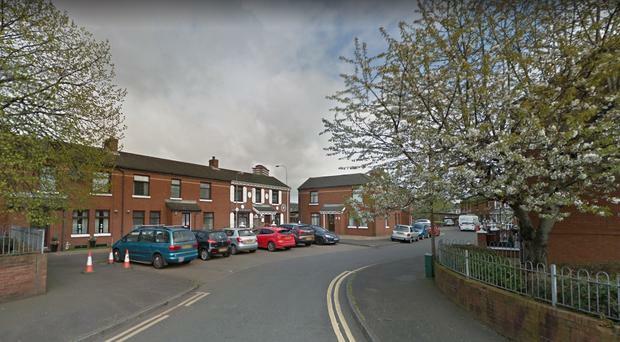 A Belfast man has apologised on Reddit for following a woman down a quiet road in the city centre after he saw her being pursued by two other men. Known only as Karlos, the man said sorry for making her feel uncomfortable but he wanted to protect her "from two suspicious looking men" he had spotted on the road. He wrote: "We were walking in opposite directions near the new student accommodation, you briefly looked at me and kept walking and a couple of seconds later I turned around and started following you, I notice the moment you realised that I was following you by how your pace changed, your shoulders squared and you grabbed your phone. "That didn't stopped me, you just kept walking and I maintained the distance (some 50 feet behind you) pretending to talk on my phone, I thought a couple of times on closing the distance and introduce myself, talk to you, but I didn't, so you kept walking, throwing glances to check where I was." But he added: "What you probably never noticed was the other two guys, the ones in the other sidewalk, the ones that pointed at you and started to follow you before we crossed the first time, you didn't notice how they looked at you or the fact that they seemed to be on drugs, or a bit drunk, or maybe both. "You also didn't notice when you passed me in your car that they were in the corner of the dead end street, looking at you in your car passing by and then at me. You also missed the next ten minutes while I waited in my car for the police to arrive (that I called while you were getting into your car), the 15 minutes of questions that followed and me showing them the picture of the two guys that I took while I was following you. "I really sorry that I scared you, but to be completely honest, I was really scared myself, I'm no hero by any means and my instinct was telling me to get the f*** out of there, but you could have been my wife (she parks in the same street) or my daughter and I wouldn't forgiven myself if something happened and I did nothing to stopped it." The post, which got more than 20,000 likes, had a map attached of the 0.3 mile distance he followed her. They started off in College Square North in the city centre and ended up in Stanley Court, down Willow Street, next to the A12 - a five-minute walk. The man's actions drew a split response from the Reddit community. One man commented: "I have a little sister and people like this just make me so happy. A little less worried every time she’s out." A woman wrote: "I feel like this is a good approach. An innocent 'excuse me, hi, ' will break the ice fine. Women can tell when you're being creepy or if you don't mean danger by the tone of your voice. If it seems urgent/concerned, they will likely listen." But another warned: "Still shouldn't trust any strangers in that situation. The 'helpful one' could just be with the other ones working together in a way to get your trust and have you lead him to your car or somewhere."